Landlords are finding it hard to get tenants on the soft rental market. Landlords and investors are seeing rental prices plummet, with some compelled to let go at a loss, or even go under the hammer. When we go out and speak to real estate agents, many of them tell us they need to work harder now, because of sluggish transactions in the real estate market. Many of them were used to earning a month’s income from one or two transactions, but had to turn to the rental market and work a lot harder, since commissions were smaller. From afar, Singapore’s residential rental market looks like a bright spot in a lacklustre real estate industry. For both the HDB and private rental market, transactions actually moved upwards, even as sluggish sales led to many agents exiting the industry. Early indications this year also point towards the rental market doing brisk transactions as well. Volume however, is only one part of the equation. The other is price. 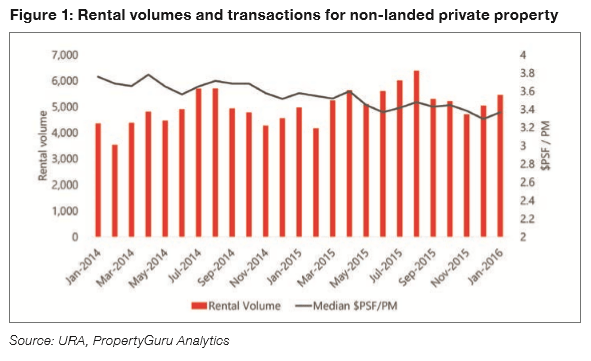 Figure 1 shows the volume and median rental transactions per month over the course of 2014 and 2015 for the non-landed private residential market. Between 2014 and 2015, the number of transactions actually increased 10.4 percent, with the two year high taking place in Aug 2015. However, prices are on a clear downward trajectory, with the year ending on a two year low of a median $3.29 psf per month across the island. While January this year did see upward movement, this is likely to be seasonal, as transactions pick up after the year-end holidays. January 2016’s overall median rental price is a 6.3 percent year-on-year decline from January 2015’s, an early indication that doesn’t bode well for rental prices this year either. negative. For landlords dependent on rental income to pay for their mortgages, cash flow issues might force their hand and they might need to offload their assets at a time when property sales are soft. The HDB rental market tells a similar story. Rental volumes started seeing increases in 2014, and stayed consistently high in 2015, hovering around the 10K mark per quarter, while rental prices slipped 5.6 percent over the past eight quarters (see Figure 2). 2016’s first quarter numbers will only be published this April, but what we hear from the ground is that rents remain soft, and tenants are driving hard bargains. HDB landlords, in general, face less pressure compared to their private counterparts. Many HDB landlords are upgraders who chose to hold on to their units for rental income instead of selling them to get capital for their private property purchases. These landlords are often in a more stable financial position, especially for those who purchased their second properties after the implementation of the Total Debt Servicing Ratio (TDSR). This is because their bank loans were calculated with more stringent criteria, and they are unlikely to default on their loans, even if their HDB units remain untenanted. 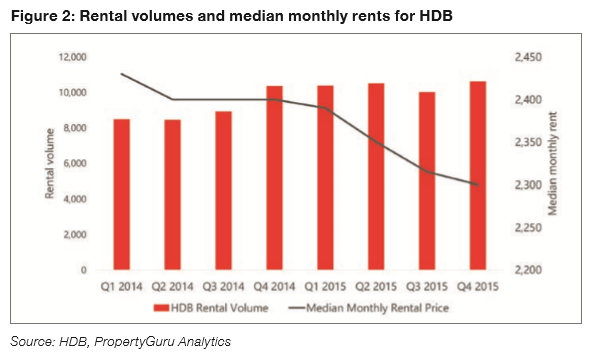 The HDB and private non-landed residential market are seeing similar transaction and price trends, because the underlying macroeconomic causes are the same. On the one hand, we are seeing an exuberant supply of housing units hitting the market. In 2015, over 48,000 residential units were completed and entered the market. This year, that number is expected to rise to over 51,000. This is because in 2011 and 2012, the government set about increasing the supply of Build to Order (BTO) flats to meet the demands of couples and young families, who were unable to get a unit during the ballot. At the same time, they were priced out of the resale market, with HDB sellers generating tons of froth by chasing ever higher cash-over-valuations (COV). This has alleviated somewhat, with the authorities ceasing to measure COV. In the private market, overly optimistic land bids by developers and record high enbloc sales also led to a huge supply of private units being launched for sale. We are now seeing the fruits of those efforts today, with construction completing and keys being handed over. The entry of all these units into the market has led to an embarrassment of riches for tenants when it comes to unit choices. This gives tenants plenty of clout when it comes to tenancy renegotiations, with rental prices being pushed downwards. Landlords must learn to budge quickly, or risk having untenanted units. Private condo landlords, especially those who are highly leveraged and need rental income to stay afloat, would quickly find themselves stuck between the proverbial rock and hard place. While the supply of housing stock is seeing sharp increases, the supply of tenants is taking a hit. 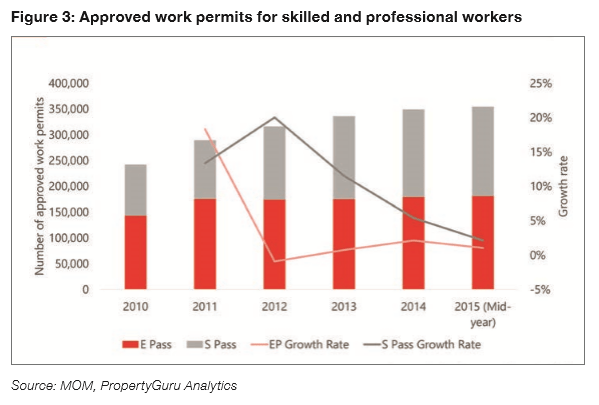 Figure 3 shows the number of Employment Passes (EP) and S Passes (SP) approved over the past four years, as well as their rate of growth. EPs are for foreign professionals, managers and executives, and require a minimum income of $3,300 per month, while SPs are for mid-level skilled staff, with a minimum of $2,200 a month. Over the past three years, the rate of growth has remained low, due to widespread angst among locals against foreign labour coming in to Singapore. For landlords dealing with increased competition from the increased housing supply, the reduction in foreign workers entering the country is a double whammy, making it harder for rental stock to be absorbed. The problem is also compounded by a less than optimistic global economic outlook, with several firms in the finance and oil and gas sectors announcing layoffs. For expatriate workers who remain employed, many see compensation packages being localised, and are seeing housing allowances being reduced or even removed altogether. With lower budgets to be spent on housing, many expatriates need to seek cheaper rental alternatives, i.e., moving from private condos to HDB rentals, or negotiate for lower monthly rents. While this explains the falls in rents we are seeing, it doesn’t necessarily explain why rental transaction volumes are on the rise. The reason, however, is a lot more depressing for landlords than the numbers might otherwise tell us. What the numbers indicate are actually the number of contracts signed by tenants, which landlords are required to declare for tax purposes. The number of contracts signed, therefore, have increased, because contracts are being signed more frequently, with tenants signing shorter-term contracts of one year or even less. Traditionally, tenants sign two-year contracts, locking in rental rates for the period, allowing landlords to have some surety in their cashflow expectations. With one-year contracts, tenants have more leeway to negotiate their rental contracts downwards, or move to a cheaper alternative if their landlords refuse to budge. At the same time, with job security somewhat in flux, shorter contracts offer more wiggle room if they need to break their leases. It is a tenants’ market, and landlords need to recognise that. For landlords that have holding power and who are able to absorb the reduced yields, they should be open to negotiating and reducing their rents. The key is to keep the units tenanted, even if they need to make concessions, in order to minimise what they need to fork out. With most market watchers predicting that the property market will see the start of a recovery this year (provided the global economy doesn’t drag it down), landlords might want to relook their portfolios. Landlords who are overleveraged might need to bite the bullet and offload some properties, even if the capital appreciation is not yet where they would like it to be. Alternatively, if a long term tenant is hard to come by, investors may choose to switch tack by using services like AirBnb to rent their units to tourists. In general, yields are better than long term tenancy, but there is a lot more hassle in managing the unit due to the turnover frequency. AirBnb, is also frowned upon by the authorities, and landlords should be aware that they are operating in a legal grey area. At the same time, the factors that would make a unit popular with tenants are the factors that would make them popular with tourists. If one’s unit has less cachet with tenants, it might be hard to attract tourists as well. No salesperson would ever tell you that the unit or project they are selling has no or low investment potential. It is therefore up to the individual investor to make their own assessment about the rental potential of their property. In general, investors are advised to look out for potential cachets of tenants within the vicinity, and should have a unit that is within walking distance to an MRT station. Walking distance is generally defined as 500 metres, or a five- to 10-minute walk. In general, when looking out for areas with a larger potential tenant pool, it is also advised that landlords look for diverse industries and sources. For instance, investors like the Changi Business Park area, because of the technology, finance, and retail businesses in the area, as well as the faculty, students and staff of the Singapore University of Design and Technology (SUTD). In Singapore, the government also publishes the Masterplan online. Investors should always refer to it and be familiar with what the government has planned for the future, to determine their potential capital appreciation, and what the tenant pool will look like in the future. When looking at an investment unit’s price, it is also important to keep in mind what kind of rental pricing levels one would need to set. Most investors would want to set at a level that would be able to minimally cover their monthly mortgage payments. They should factor in their maintenance charges and other ownership fees as well. After doing the maths, if the desired rental sum looks far too outlandish when compared to the current rental prices, it might be better to walk away from the project, especially if holding power is an issue. This entry was posted in Landlord, Rental / Lease, Tenant and tagged landlord, Rental, Rental Market, rental prices, residential market, residential rental market, Tenant. Bookmark the permalink.